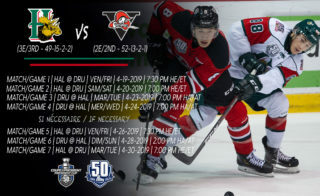 BOUCHERVILLE, QC – The Quebec Major Junior Hockey League, in association with the Canadian Hockey League, the Sherbrooke Phoenix, the Drummondville Voltigeurs and Hockey Canada, announced today the QMJHL’s roster which will compete against Team Russia as part of the 2018 CIBC Canada Russia Series. 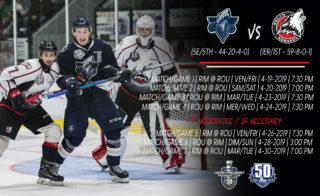 The Phoenix will play host to game five of the series, which will be held at the Palais des Sports Léopold-Drolet on Tuesday, November 13, while the Voltigeurs will host the the final game of the series, which will be presented at the Centre Marcel-Dionne on Thursday, November 15. 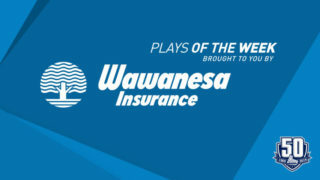 The Western Hockey League is set to host Games 1 and 2, while the Ontario Hockey League will welcome Games 3 and 4. All six games will be broadcasted nationally on both Sportsnet and TVA Sports. 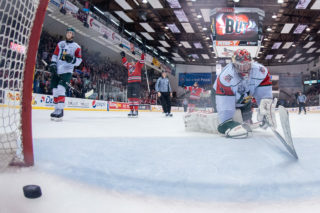 Hockey fans in the Eastern Townships and Centre-du-Québec will have the opportunity to see plenty of high-end NHL prospects including ten players who were selected during last June’s NHL Entry Draft in Dallas. 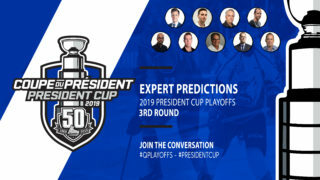 Team QMJHL will feature players chosen in the first two rounds, such as Noah Dobson (New York Islanders, 1-12), Nicolas Beaudin (Chicago, 1-27), Joseph Veleno (Detroit, 1-30), Jared McIsaac (Detroit, 2-36), Benoit-Olivier Groulx (Anaheim, 2-54), Gabriel Fortier (Tampa Bay, 2-59) and Olivier Rodrigue (Edmonton, 2-62). Of note, 2017 NHL Draft picks Pierre-Olivier Joseph (Arizona, 1-23) and Antoine Morand (2-60) also cracked the roster. The roster includes top prospects for the upcoming 2019 NHL Entry Draft as well with Raphaël Lavoie (Halifax), Jakob Pelletier (Moncton), Samuel Poulin (Sherbrooke) and Nathan Légaré (Baie-Comeau) set to take the ice in Sherbrooke and Drummondville. 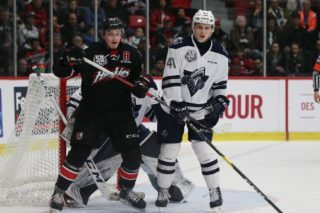 Top hockey sensations for the 2020 NHL Entry Draft, Alexis Lafrenière (Rimouski) and Justin Barron (Halifax) have also been selected. The three CHL regional leagues created committees which worked closely with Hockey Canada to select the final rosters. Team QMJHL will be under the supervision of head coach Jim Hulton who returns to the Under-20 Program of Excellence for the first time in over a decade having previously won a silver medal in 2004 and a gold medal in 2005 in assistant coaching roles with Team Canada (U20). Now in his fourth season behind the Charlottetown Islanders bench, Hulton makes a second straight appearance at this event after assisting Dominique Ducharme in a pair of Team QMJHL victories last season in Charlottetown and Moncton. This year, he will be supported behind the bench by Screaming Eagles head coach and general manager, Marc-André Dumont, Phoenix head coach, Stéphane Julien, and Voltigeurs new head coach, Steve Hartley.